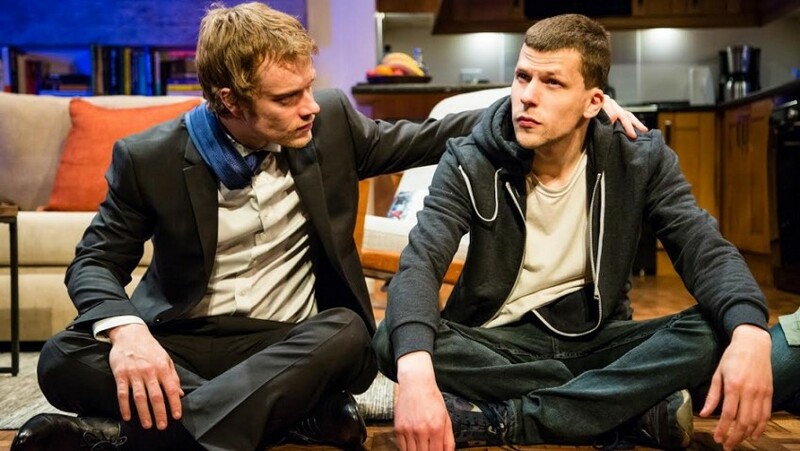 Jesse Eisenberg, best known as an actor and for his performance as Mark Zuckerberg in The Social Network, makes his London stage debut in a play he has written with a whacking leading role for himself. Eisenberg has made a career out of playing oddballs and here he casts himself as Ben, a rich, lonely, immature, neurotic, drug-numbed Jew whom nobody likes. There is nothing to like. Ben is an arrogant, callous, spiteful bully and a gross liar. Self-centred, he is totally obnoxious and full of self-loathing. Self-destructive, he seeks to destroy others. Ben, talentless, has dropped out of film school and lives in a Manhattan flat his dad gave him rent-free. 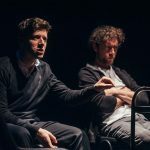 He shares the flat with a Napalese immigrant, a business school student, whom he has befriended in an obsessive way and whom he constantly and compulsively patronises. It’s a fractious almost marital relationship. When he was 10-years old he had a scatological crush on a 10-year-old girl who is now engaged to a banker. They were all at the same primary school. He tries to get her to ditch her fiancé. Kunal Nayyar is the decent, kind immigrant, who is everything Ben is not. His description of a job interview he had is a telling commentary on immigrants who do not understand the American business world. Annapurna Sriram is his sharp girlfriend. 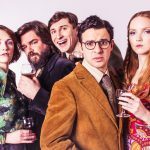 Alfie Allen (whom you may have seen in Game of Thrones) and Katie Brayben are the young couple who are much better friends to Ben than he deserves. Scott Elliott directs and Eisenberg and his excellent co-stars keep the audience well entertained. The very final moments are an unnecessary and false appendage, finding goodness in Ben when there is none. How would you cope after a terrorist attack?